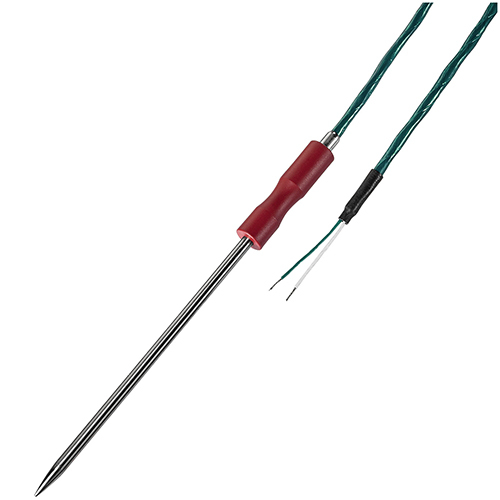 The special construction of these robust steamproof B+B penetration temperature probes makes them ideal for the control of cooking and baking processes in all domains of the food and beverage industry. The penetration tube is made of stainless steel and is available with centric penetration tip. The ergonomic handle (PEEK) as well as the connection cables made of Teflon® are extremely hygienic and resistant against acids and lyes. The probes are characterized with their high mechanical stability. You need your probe with a bevelled penetration tip or the handle in another colour? Just contact our sales team via the contact page.